The country’s top therapy dog, a pit bull mix named Susie from High Point, North Carolina who overcame a terrible ordeal but went on to bring hope to both people and animals, has been named this year’s “American Hero Dog” at the 2014 American Humane Association Hero Dog Awards, presented by the Lois Pope LIFE Foundation, Inc. and broadcast nationally on Hallmark Channel October 30 at 8 pm ET/PT, 7 pm Central Time. Susie was only a puppy when her owner beat her savagely and set her on fire, leaving her for dead in a local park in Greensboro, North Carolina. After being rescued by a local animal shelter and nursed back to health, she was adopted by Donna Lawrence, who had been the victim of a terrible dog attack that nearly killed her and left her without the ability to have children. Together, they helped each other heal from their physical and emotional wounds, triumphing over pain and fear to become voices for abused animals and helping pass “Susie’s Law” in North Carolina, which calls for harsher penalties for convicted animal abusers. Susie became the subject of the movie, “Susie’s Hope,” and working side by side, Donna and Susie continue to make the world a better place for others by visiting hospitals, schools, and nursing homes to inspire people never to give up. This year’s therapy dog category sponsor, as well as the campaign’s online sponsor, is the leading animal health company, Zoetis. The sold-out, star-studded awards honoring America’s most courageous canines were hosted at the Beverly Hilton Hotel last night by television and film star James Denton and model and animal advocate Beth Stern, accompanied by a galaxy of stars and presenters including Bruce Boxleitner, Lacey Chabert, Philippe and Ashlan Gorse Cousteau, Cristina Ferrare, Lori Loughlin, Bailee Madison, Kellie Martin, Marlee Matlin, Brandon McMillan, Larry Miller, Barbara Niven, Pauley Perrette, Charlotte Ross, Mark Steines, Victoria Stilwell, and more. The Hero Dog Awards were created to celebrate the powerful relationship between dogs and people and recognize extraordinary acts of heroism performed by ordinary dogs. 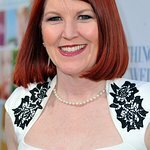 The event will be broadcast nationwide by Hallmark Channel on October 30 at 8 pm ET/PT, 7 pm Central. The program will air as part of Hallmark Channel’s Pet Project, the network’s cross-platform advocacy campaign designed to celebrate the joy and enrichment animals bring to our lives. American Humane Association has also been involved in helping military heroes, and has been working with Mission K9 Rescue and the U.S. War Dog Association to bring home and reunite military dogs with their hero handlers. Following an emotional scene during the 2014 American Humane Association Hero Dog Awards in which the audience met Marine Corporal Matt Foster who was reunited with his beloved former military hero dog Mick after a year apart following their service in Afghanistan, noted philanthropist, animal welfare and disabled veterans advocate Lois Pope announced a pledge of $150,000 to support American Humane Association’s efforts to aid and pay tribute to the nation’s brave military hero dogs and their former handlers. Mrs. Pope is donating $50,000 to the American Humane Association’s “K9 Battle Buddies program” to bring more of these veterans back together on American soil where they can both live out their well-deserved retirements in the way they deserve after a lifetime of service. To bring national attention to these heroes on both ends of the leash, Mrs. Pope is also underwriting a $100,000 special effort to include these military hero dog teams in this year’s America’s Parade, which takes place on Veterans Day 2014 in New York City. Her generous contribution will give these reunited dog teams their own part in the parade – and a national platform so that millions of Americans can honor them as they should be honored. 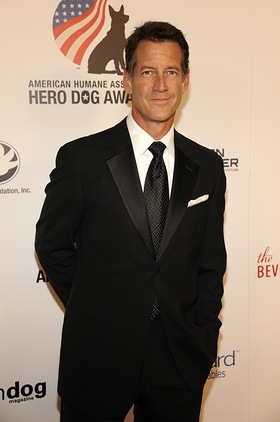 The Hero Dog Awards honors heroes “on both ends of the leash,” and this year the Hero Dog Awards inaugurated a new element, the American Humane Association Hero Veterinarian and Hero Veterinary Technician Awards, sponsored by the leading animal health company Zoetis. After a nationwide search and tens of thousands of public votes, Eva DeCozio, DVM, of the VCA Apache Junction clinic in Higley, Arizona was named 2014’s American Hero Veterinarian, and Signe Corbin of the Westlake Animal Hospital in Austin, Texas was declared 2014’s American Hero Veterinary Technician.